When asked what are the Top 3 Destinations in the Philippines that I would love to visit again, Camiguin Island is definitely on my list. Last year, I booked a flight to Camiguin during the Piso fare of Cebu Pacific Air. I asked three of my high school buddies namely Maire, Kenjo and Ruby if they want to spend the first weekend of October with me. When I informed them about Camiguin, they were a bit hesitant to go with me due to the recent news updates on the war within Mindanao. The media can hype up much negative issues at times affecting the main area T_T. They immediately said yes when I informed them that Camiguin is a safe place. It is also a good reunion tripsince we never really had any out of town trip since we bid farewell to our high school alma mater. Now is the perfect time! I asked some bloggers if they’ve been there and only a few said yes. It is my first time to plan a trip with the HS buddies that’s why I wanted to make it special. We arrived in Cagayan de Oro at 6:30AM and took a bus trip for two hours to Balingoan Terminal and a delayed ferry ride to the Benoni Port in Camiguin for an hour. It was nice to see some kids a.k.a. ‘Hagis Barya Boys’ of the Benoni Port who were all smiles when we arrived. They asked the passengers to throw some coins and they will get it. I am impressed with their skills, although some might think that it is a dangerous hobby for the kids. Well, it is. We went to Paguia’s CottagesÂ for our accommodation. The people there were very accommodating and attended to all our needs. Mambajao, the barangay where we’re staying is a peaceful place. The residents were all smiling to us whenever we pass by. 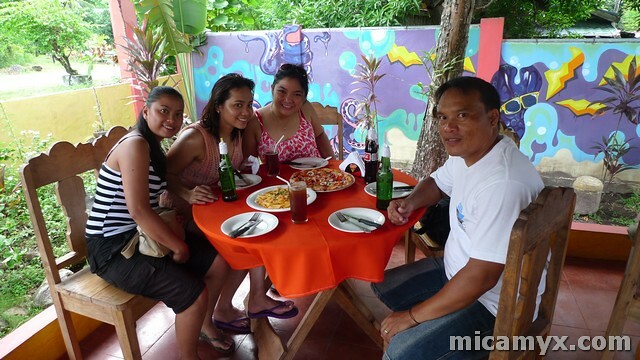 Right after our lunch, we rented a boat and went to the White Island. The locals claim that the White Island disappears on high tide season. There were two watchers in the island when we arrived. From there, you can see the Mt. Hibok-Hibok and Old Vulcan. The place is peaceful and clean. Perfect for emo moments LOL. 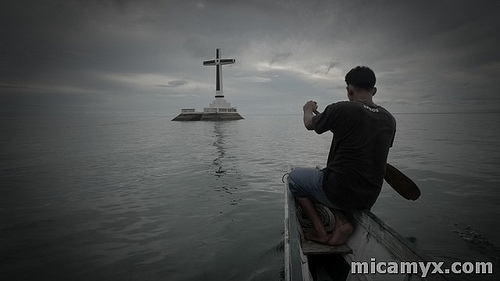 Our next destination is the famous Cross Marker where the Sunken Cemetery is located. The sand in this part is dark due to the volcanic eruption before. The place used to be a cemetery hundred of years ago (during the Spanish colonial times, i think) but was ‘sunken’. Camiguin Island is also dubbed as ‘The Island Born of Fire’ and i guess this explains why. While we were on our way to the giant cross, the bangkeros were telling us that we can snorkel there and they have some gears for rent. You will see some corals bulit naturally within the old tombs. I even saw some lapida. It could have been fun to snorkel there yet scary that i might see some skull or skeleton there instead of the usual sea shells LOL. 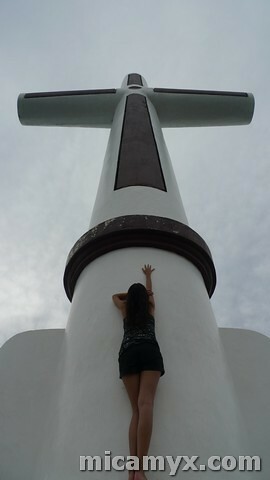 When we arrived at the cross, it was there when I concluded that Camiguin is Mysterious and Beautiful. I compare Camiguin to a woman who has some inner angst in life (volcano erruptions etc) but she has this distinct physical beauty. 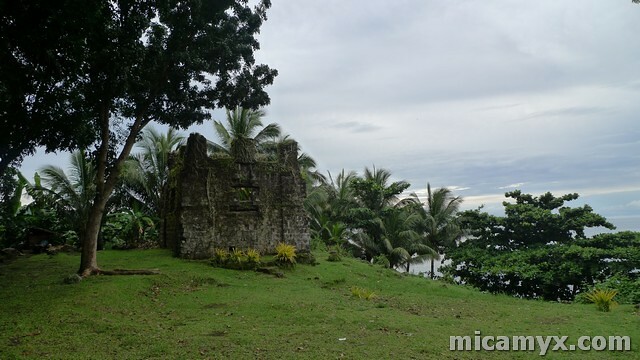 We also passed by to the Gui-ob Church Ruins or the Old Catarman Church. Again, these Ruins from the 16th century are beautiful. Reminds you of a classic past. The last destination of the day is the Sto. Nino Cold Spring, where we jumped at the water giggling due to the coldness of the water. While the three girls suddenly felt awake after jumping, I felt sleepy. I enjoyed the short swimming moment there, but i ended up sleeping at the jeepney and i even fell on the floor LOL. They kept on laughing at me but I was too sleepy to care. I insisted that I sleep on the floor while the jeepney is still on the road. Shame on me LOL. 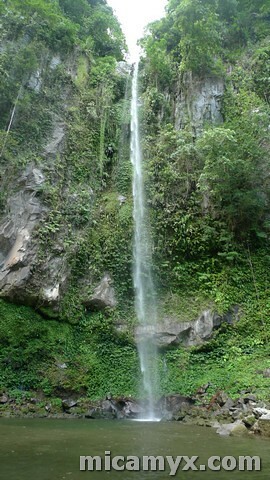 We went to Katibawasan Falls the next day. It measures 250 in height and the trees and plans surrounding the area are refreshing to see. It is also a good picnic place and we spotted a number of families enjoying some quality time there. There’s also a souvenir shop within the entrance area so we shopped for pasalubong. For more pasalubong, we dropped by the nearest Vjandep branch. We went to Luna Ristorante for our lunch loaded with Pizza and Pasta. Yummy! To complete our afternoon chill season, we went to Ardent Hot Spring, which was very relaxing. 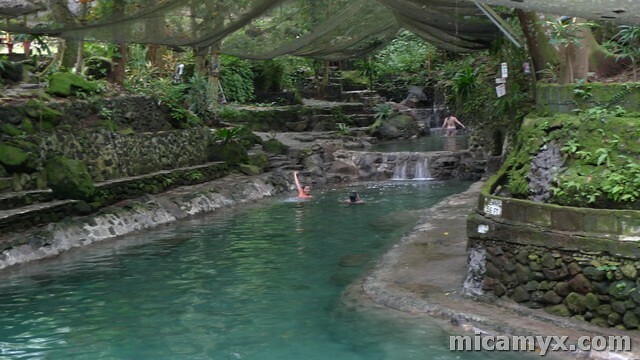 It is a mineral pool where the heated waters from Mt. Hibok-Hibok go. There were some tourist who were enjoying the serenity of the place like we do. We went straight to Benoni Port for our trip back to Cagayan de Oro via Paras Sea Cat. The overnight stay in Camiguin Island is not enough for us to explore the inner beauty of the place. I will definitely go back! 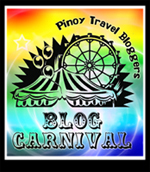 This is my entry to Pinoy Travel Bloggers’ Blog Carnival for November with the theme ‘Mindanao Bliss’ hosted by Olan Emboscado of The Travel Teller. Previous Post Good Morning, It’s Snowing in Cardiff! 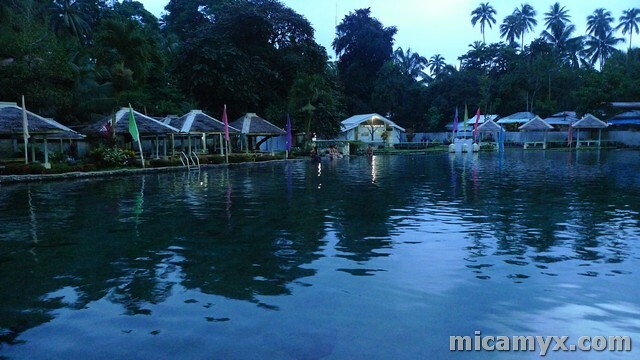 What I like most in Camiguin was the dipping experience at the Ardent Hot Spring. It really has an effect in the body. Made you relax after an hour of soaking yourself into the hot water. :-). hahahah! Natawa ako sa hulog portion. At talagang ninamnam mo na ang paghiga sa sahig ng jeep. lol! Naalala ko tuloy, hindi pa rin kami nagkakaron ng bonding ng HS friends ko simula ng gumraduate kami. Salamat dito! Pplanuhin ko na yan. Ang dami kong na-miss sa Camiguin. Hindi ko na-experience mag punta sa cross mismo. Dun lang kami sa pang pang. Ang emote ni juday sa Quija hindi ko tuloy nagawa. Nasayang! Nagka-MMK moment ako dahil hindi ako pinayagan mag snorkel sa Kabila Beach sa lakas ng alon. hahah! Ang daming sinabi.. bitter pa rin. Thanks Mica! 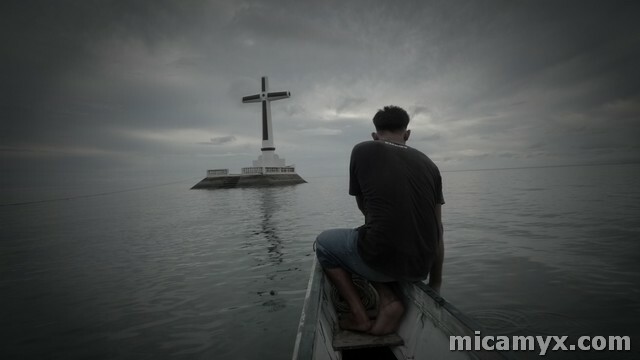 Aylab your photo with the cross… Parang humaba lalo legs mo gurl. Ahihi. ganda ng unang shot and the second shot…. one word tito boy, dabest. ganda nga ng unang shot! Camiguin + CDO pa lang ata napupuntahan ko sa Mindanao. Katibawasan Falls – Best Camiguin experience EVERRRRRRR! Grabe ang sarap talagang maligo doon lalo na kung malapit ka na ‘impact’ site ng water. Parang bagyo lang. Ang lakas ng hangin at grabe ang lamiiiiiig ng tubig! 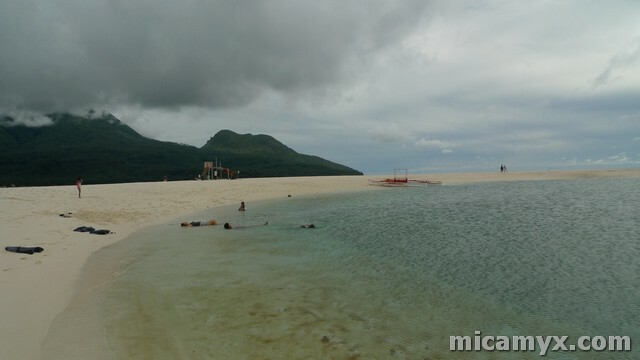 I heard too many wonderful things about Camiguin since I was in High School.. Dinagdagan mo pa! 🙂 Isa to sa mga pupuntahan kong lugar once nakabalik na ko sa Pinas.